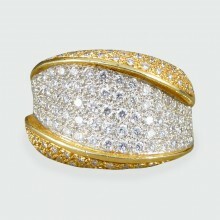 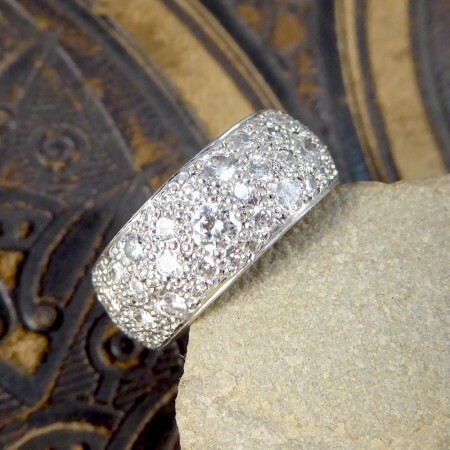 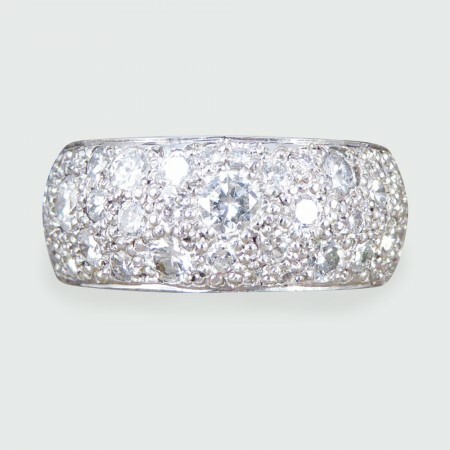 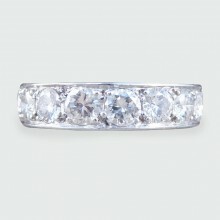 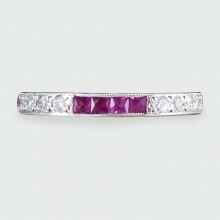 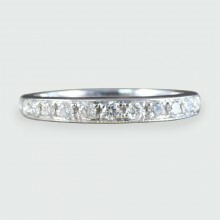 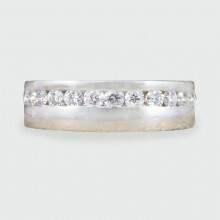 This contemporary eternity ring has been full hallmarks showing it was made in 2006 in Birmingham in 18ct White Gold. 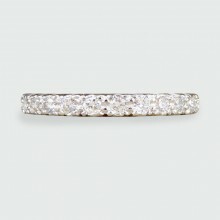 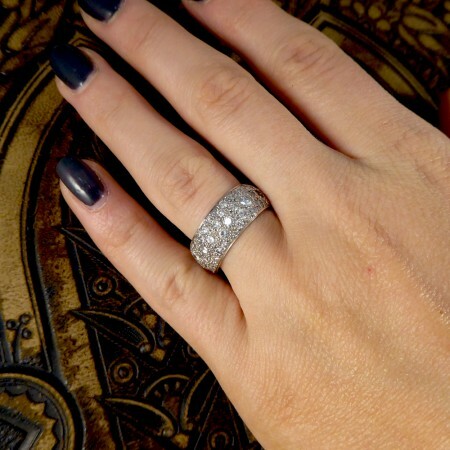 Modern Brilliant Cut Diamonds are known to be the sparkliest of the Diamonds due to the cut and shape, with 2.20ct of Modern Brilliant Cut Diamonds covering the whole 8mm width band, this ring definitely sparkles from every angle. 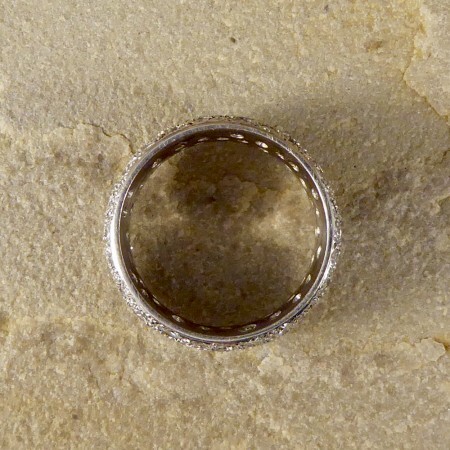 Band Depth; 2mm. 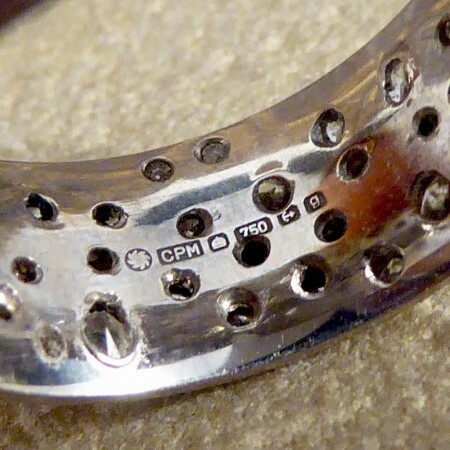 Band Width; 8mm.